The prevalence of self-service technologies to streamline the passenger experience is growing exponentially. From booking and checking-in online or at a kiosk, self-service initiatives have expanded to include bag drop points, e-gates and self-boarding gates, for example, and airports are increasingly implementing these solutions. 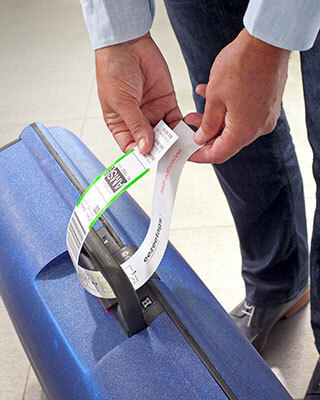 In May 2018, Maastricht Aachen International Airport introduced eezeetags’ intuitive bag tags. Traffic at Maastricht is very seasonal, serving holiday package carriers such as Corendon and Sunweb, while Ryanair also operates at the airport. In May 2018, Maastricht Aachen International Airport introduced eezeetags’ intuitive bag tags. The operation at Maastricht was rolled out in collaboration with Bagchain, which provides check-in solutions for airports. The operation at Maastricht was rolled out in collaboration with Bagchain, which provides check-in solutions for airports. Four printing stations have been commissioned, where passengers can scan their boarding passes, print out their eezeetags bag tag, and self-tag their bags. Meanwhile, in the US, leading cruise line Royal Caribbean has undertaken a proof of concept with airport technology company IER to tag the bags of passengers arriving at the ship. This has traditionally been a manual process. “In combination with the IER technology and eezeetags, this process is much simplified, speeding up the whole end-to-end process, enhancing again the passenger experience,” says Vrieling. Another innovative application has been developed for checking-in baggage at the gate. The solution will first be seen at Eindhoven Airport for Transavia.